Seems unlikely? 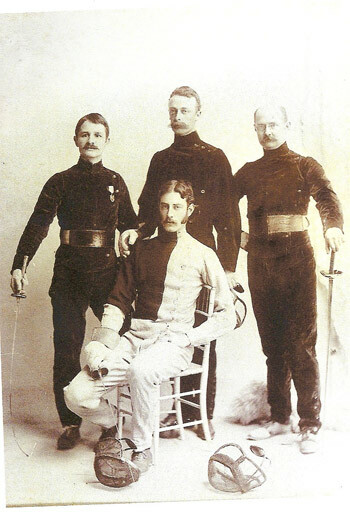 In New York, in 1893 at the New York Fencers Club a housewarming event was held in their new home and Mark Twain, along with other celebrities of the time, was invited there to see some of the bouts and demonstrations presented. Of course we had the obligatory foil, saber and épée, but one bout truly was a different sight. Tatham came from an industrialist family and worked for Tatham bros. a lead company started by his grandfather, Benjamin Tatham. Charles’ family had ties in Philadelphia, which might explain why gekken got an exposure there in 1899. He would go on to win three Olympic medals in fencing as well as several national titles and is credited as one of the founders of the United States Fencing Association. 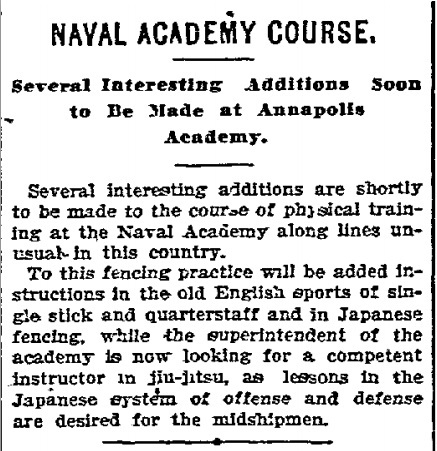 Gekken at the time got a lot of press in the media and was practiced in Honolulu by Japanese immigrants in 1896 at the Sunrise Club and was apparently destined to be taught in Annapolis Naval Academy in 1904, possibly following the Japanese victories in the ongoing Russo-Japanese war. Was it ever undertaken? More investigation on this matter needs to be done.